Upbit, the largest cryptocurrency exchange in South Korea, has conducted an internal audit amid suspicions of fraud from national authorities. The audit results allegedly disprove the claims that the exchange has falsely reported the amount of funds it holds. South Korea’s cryptocurrency market came under pressure last week following news of a police raid at the offices of Upbit on suspicions of fraud. The joint action between the Korean Financial Intelligence Unit (KIU), Financial Services Commission, and Seoul Police gave orders to 10 officers to take control of the exchange and its assets. The suspicions of fraud led a large number of Upbit customers withdrawing their digital assets as a preventive measure, which may have contributed to the loss of $50 billion in the cryptocurrency market overnight. Ironically, the Chief Executive Officer of Upbit has been active against illegal fraud by offering rewards to customers who would identify multilevel scams funding through ICOs. According to local media, suspicions against Upbit include coinless transactions, allegations of money laundering, leakage of money through US trading sites, and suspicion of insider trading during the listing process. No charges have been filed at the moment of writing. Lee Seok-woo, president of Upbit’s parent company Dunamu Inc., claims the internal audit dismisses the suspicion of “book-trading”, according to local news agency Money Today. According to the exchange, there is a separate wallet for keeping and storing virtual currencies apart from the deposit and withdrawal wallets, and virtual currencies without depository wallets are kept there. This storage wallet can only be withdrawn together with Bittrex (its US affiliate) and a trusted third party. An accounting firm official in South Korea commented the allegations. Upbit calls this whole situation a misunderstanding as it has “never bought or sold cryptocurrencies that it did not own since it opened last October”. The operator claims that in any way it has facilitated of digital assets without having such currencies, aka book-trading, and the suspicions are unfounded. 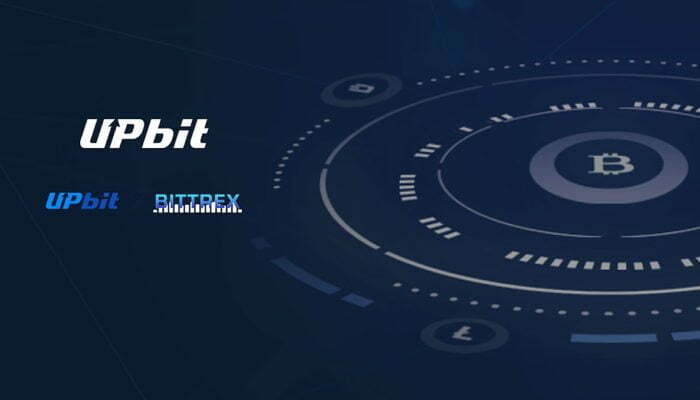 Most transactions are made through US-affiliate Bittrex and that is what may be causing confusion among authorities.